Perennials are easy to plant and care for in combos. 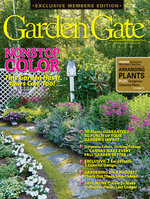 Plus, you can just transplant them to the garden at the end of the season. Perennials aren’t just for beds and borders! You’ve probably added one to a container before. But have you considered putting together an entire combo with perennials? 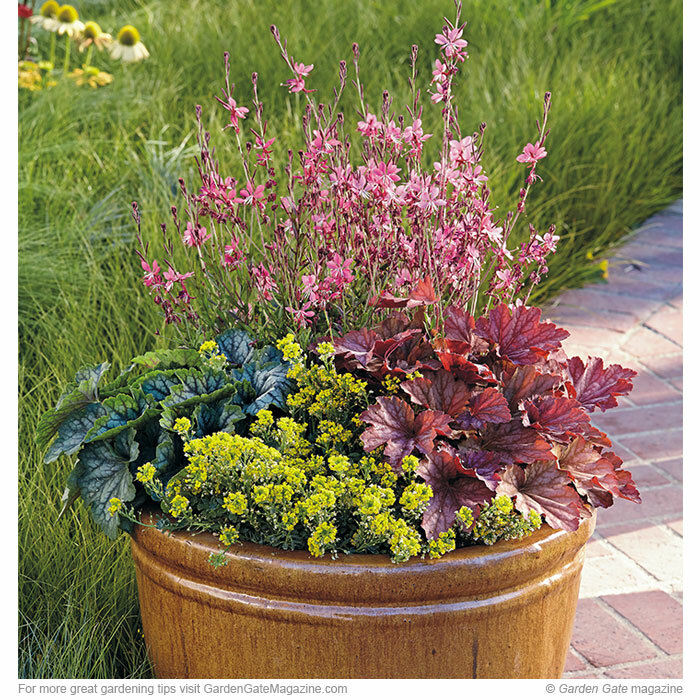 Choosing ones with colorful foliage, like the coral bells at left, will make your container interesting from spring through fall, no matter what’s planted together. 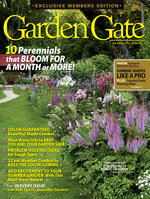 For more tips and to find out which perennials make up this combo, click ahead. 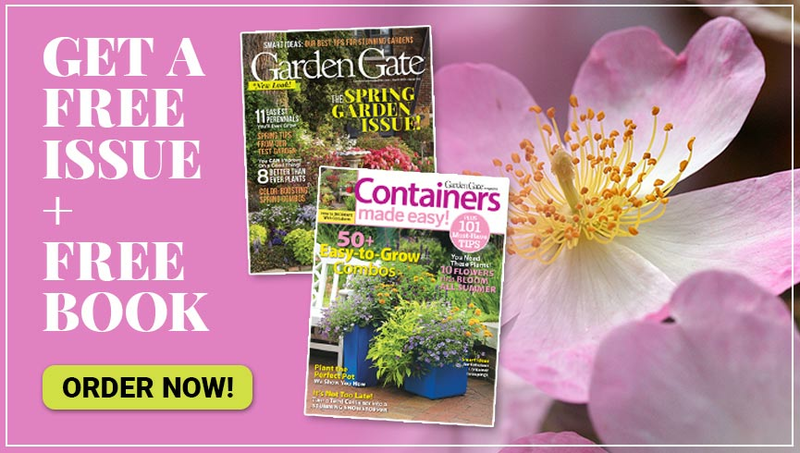 Reblooming perennials and ones that bloom for a long time are also great choices for containers. ‘Whiskers Deep Rose’ gaura adds height and has rich pink flowers on upright stems from spring through fall. It’s cold-hardy to USDA zone 6, so you can plant it in the garden in late summer or early fall or treat it as an annual if it’s not hardy where you live. ‘Golden Spring’ madwort grows 6 to 8 inches tall and 12 to 14 inches wide. It blooms in spring, but once it’s finished, you can swap it out with a summer-blooming annual and plant the madwort in a rock garden. Madwort and coral bells are cold-hardy to USDA zone 4. Check out 4 of the most low-maintenance and reliable blooms you can grow. This everyday item doubles as a handy way to get seedlings off to a successful start.